Shane van Gisbergen is set for his fifth co-driver in five years. SHANE van Gisbergen has hinted that his fifth co-driver in five years of Supercars will not be Craig Lowndes, as he expects calendar clashes to rule out Earl Bamber next year. The dates for the Petit Le Mans and the Bathurst 1000 conflict and will therefore likely stop Bamber returning to Supercars Enduros for 2019, meaning Van Gisbergen is on his now annual lookout for a new partner once again. As well as Bamber, SVG has already gone through Jono Webb, Alex Premat and Matt Campbell over the past four Enduro campaigns and speculation has been rife that Lowndes, who is set to become a co-driver next year, may be next. 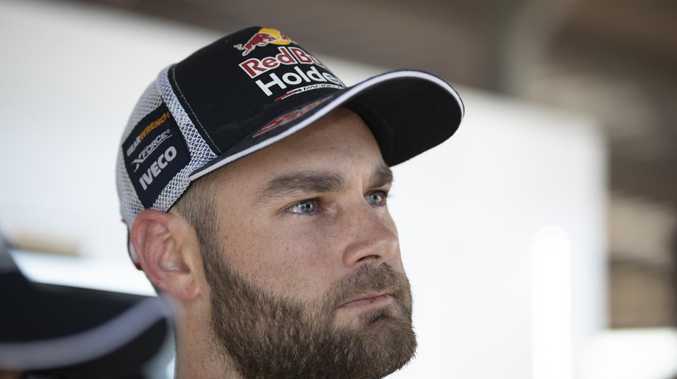 However, Van Gisbergen has poured cold water on the rumours revealing he expects Bathurst 1000 winner Lowndes to replace Paul Dumbrell and team up with former teammate Jamie Whincup. "I mean, it would be perfect for the team and the nostalgia of it all for Craig and Jamie to be together, and I don't know what he (Dumbrell) is going to do," said van Gisbergen. Lowndes' retirement and move into a co-driving role means the other half of this year's Bathurst winners, Steve Richards, is out of a drive for next season, and could link up with the 29-year-old. "(Richards) wouldn't be a bad guy to put in, but I'd love to have Earl back and probably Matty Campbell will be at the top of that list," he added. "We'll see what his calendar does. He (Campbell) did a ripper job for us last year. "It's been really tough trying to hang onto a co-driver, I get along well with them, but they seem to be leaving for different reasons."